Crisp air, sweaters, and a pumpkin spice latte. Yes, I know some of you are getting excited as you see those nouns all mean one thing: AUTUMN. It’s that time of year again where us bookworms have an excuse to stay indoors to snuggle in our blankets and put our noses into a good book; however, where on our shelves do we even begin? Well, this post is here to remind you of some of your favorite YA novels that have sequels coming out this time of year, in case they had been slightly forgotten on your TBR Goodreads List. So wind down and catch up — as a bonus, here’s a wonderful playlist to help soothe your mind and feel as though you are sitting in your favorite local coffeehouse without ever leaving home! Katharine sits on the throne, Mirabella and Arsinoe are in hiding, and an unexpected renegade is about to wage a war of her own. The crown has been won, but these queens are far from done.#1 New York Times bestselling author Blake is back once again this fall with the third book of her Three Dark Crowns series. The intensity of this novel is perfect for those thrilling “running through the crisp autumn forest” fall vibes. Haven’t read this series yet? It’s not too late to check out Three Dark Crowns, which released Fall 2016! Mira Minkoba is on the run with her friends after a fiery escape from the Pit, where she’d been imprisoned for defending the dragons she loves. And she wants answers.Meadows treats us with a sequel this fall to follow up the greatness of Before She Ignites, the first of a trilogy. Keep an eye out in the YA Fantasy/Adventure section of your local bookstore for this anticipated release! And no, ordering a pumpkin spice latte on the side won’t make this release too sweet (I would even ask for a double pump of whipped cream). Emika Chen barely made it out of the Warcross Championships alive. Now that she knows the truth behind Hideo’s new NeuroLink algorithm, she can no longer trust the one person she’s always looked up to, who she once thought was on her side.Determined to put a stop to Hideo’s grim plans, Emika and the Phoenix Riders band together, only to find a new threat lurking on the neon-lit streets of Tokyo.No need to impatiently twiddle your thumbs any longer. Yes, you heard me, Lu is finally back this fall season with her exciting sequel, Wildcard! So put on that oversized sweater and prepare for a long night in because it has been confirmed that this novel will indeed get wild. And remember to join the excitement if you haven’t already with the first book, Warcross, released in Fall 2017! Audrey Rose Wadsworth and her partner-in-crime-investigation, Thomas Cresswell, are en route to New York to help solve another blood-soaked mystery. Embarking on a week- long voyage across the Atlantic on the opulent RMS Etruria, they’re delighted to discover a traveling troupe of circus performers, fortune tellers, and a certain charismatic young escape artist entertaining the first-class passengers nightly. But then, privileged young women begin to go missing without explanation, and a series of brutal slayings shocks the entire ship.What would the fall season be without a suspenseful story or a magic trick to boggle the mind? Well, luckily Maniscalco’s third book of her Stalking Jack the Ripper series, Escaping From Houdini, is here to lure us with frighteningly excellent writing and story development and hopefully leave us with another mystery solved. Rereading the first book of the series, Stalking Jack the Ripper, would definitely put you back in the Halloween mood and prepare you for this anticipated release! In the wake of tragedy, neither Lazlo nor Sarai are who they were before. One a god, the other a ghost, they struggle to grasp the new boundaries of their selves as dark-minded Minya holds them hostage, intent on vengeance against Weep. Lazlo faces an unthinkable choice — save the woman he loves, or everyone else?Did someone request more magical, otherworldly stories? Now we can experience a world with gods and ghosts as Taylor comes at the perfect time with her upcoming sequel! The magical storytelling of Strange the Dreamer made it a New York Times bestseller, so this second book is sure to hit the charts again this year. Felicity Montague is through with pretending she prefers society parties to books about bone setting—or that she’s not smarter than most people she knows, or that she cares about anything more than her dream of becoming a doctor. A year after an accidental whirlwind tour of Europe, which she spent evading highwaymen and pirates with her brother Monty, Felicity has returned to England with two goals in mind—avoid the marriage proposal of Callum Doyle, a lovestruck suitor from Edinburgh; and enroll in medical school. However, her intellect and passion will never be enough in the eyes of the administrators, who see men as the sole guardians of science.Cosplay as a pirate this Halloween season to embark on this fantastic sequel to The Gentlemen’s Guide to Vice and Virtue! Even though you may not realistically loot treasure ship after ship in our petticoats, you could steal a moment to experience those fantasies with this novel. Don’t you all wish these books released at the same time? That would make our reading habits easier, but no worries! 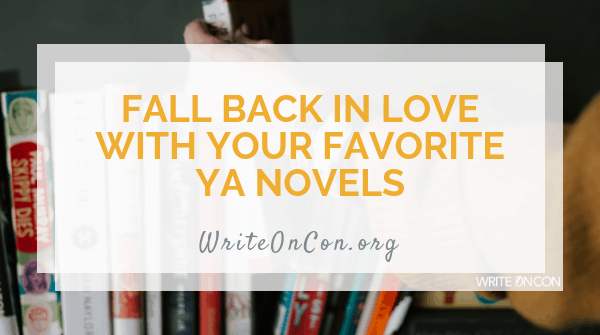 You have plenty of time to reread some of these favorites that might have been blurred with the other fantastic reads you have read all year.What sequels or new releases are you looking forward to this fall? Muse of Nightmares is my favourite novels. Thanks a lot.